Logic and Salman Khan Films don’t go hand-in-hand most of the time. They faintly met each other in ‘Bajrangi Bhaijaan’, but this time they stay planets apart. Shamsher (Anil Kapoor) is a super-rich arms dealer who likes to outwit people who challenge him. He is the eldest of a dysfunctional family where the younger twin children Sanjana (Daisy Shah) and Suraj (Saqib Saleem) are always jealous of Shamsher’s elder brother’s son Sikander (Salman Khan). Yash (Bobby Deol) is the bodyguard of Sikander and his man-Friday. Shamsher wants to visit his village ‘Handiya’ again where he is blacklisted as a criminal and he finds out a way to it by blackmailing politicians who are cornered in a prostitution-ring. The indecent videos of politicians are in a hard disk and the hard disk is in a bank and Shamsher wants to execute a heist at the bank – this where the race to outwit each other starts. The music is the biggest disappointment in this film which is nothing but a series of disappointments. The score by Salim Sulaiman is good and according to the needs of a thriller, but every other song is worse than the ones in the previous two instalments of the franchise. Heeriye is the best of the lot but is still a bad song overall. Selfish is already declared as the worst written song of the year by the social media jury and the song is written by Salman Khan. Another song written by Salman is I Found Love is equally bad. Apart from ruining the franchise by replacing the director and main lead of the franchise, the makers managed to ruin the rock-based Allah Duhai Hai too by replacing the singer and changing the whole tone of the song to whatever-it-was from Rock. The previous two instalments of Race were majorly hit because of the soundtrack but here it is the biggest letdown. The acting department is another part where the film falls. Daisy Shah does exactly what was expected after her Jai Ho and Hate Story 3 performances, i.e. under-acting. She is as expressionless as a stone but her fight sequences are better than her acting. Saqib Saleem is ‘okayish’ but not something for which he will be remembered. Bobby Deol’s comeback falls flat as he is straight-faced in most of the film and provides no reason to applaud his performance. Jacqueline has a role like her every other role – to act like a doll and be tough at the same time – which she never nails. Two films of her career with Riteish Deshmukh were her best performances. Freddy Daruwala’s role is more like a cameo and so he can’t be judged for his performance. 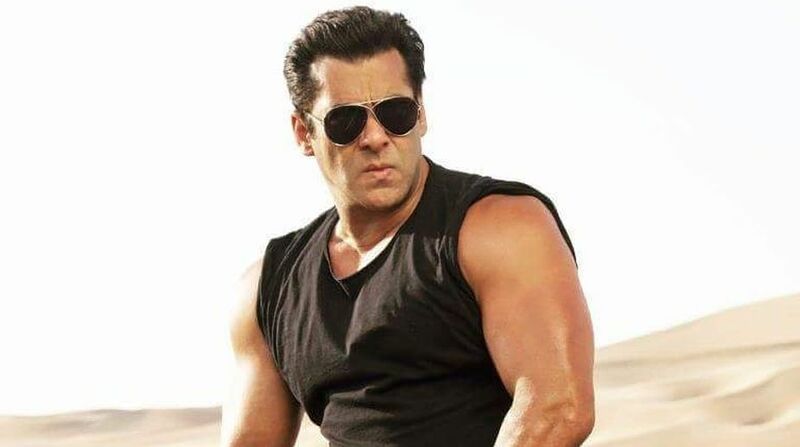 Salman Khan’s act is worse than Daisy Shah and he had most of the screen time but fails to make even a second worth remembering in a positive way. None of his dialogues adhere with the film’s tone. Salman acts more like a robot in the film and his body language is more like he was just acting for time-pass in the film. His expressions don’t change much in different scenarios as if he would’ve been taxed crores of rupees if he delivered a face with variety of expressions. Anil Kapoor is the only saviour in the film as far as the acting department is concerned . He should’ve been involved more with the director because of his experience in acting and filmmaking. His dialogue about why he doesn’t take decisions in anger is the best dialogue of the film too and his serious tone on that dialogue is enough for it to be quotable. Anil Kapoor is more charismatic in the opening scene than Salman in the whole film. Remo D’Souza directed the ABCD franchise and FALTU better than this quintessential ‘All-that-glitters-is-not-gold’ film. He should just stick to that. He ruined the franchise which was known for being thrilling and edge-of-the-seat but here everyone knows that Salman will be on top just because he is Salman. There is far less element of surprise in this snooze-fest film. I yawned more than 160 times in this 160-minute film. The film was unnecessarily a 3D as none of the scenes had an impact that it is a 3D film. Overall the film is strictly for Salman-Khan-junkies and no one else but if you still go then don’t apply your brains seeing cars illogically invert themselves if the driver is shot. If you want to watch an edge-of-the-seat thriller then watch any of the films made by the original Race director duo – Abbas-Mustan.